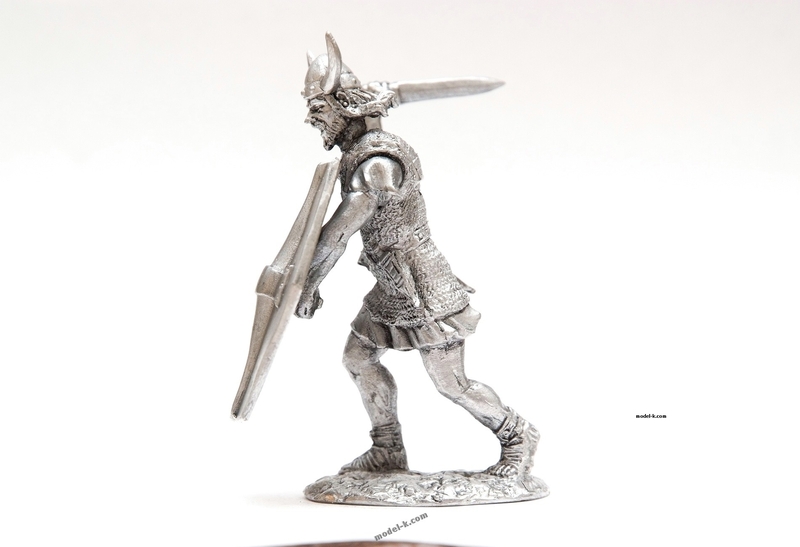 54 mm tin soldier. Viking with spear. Helmet with Horns. High quality metal figurine. Figure is unpainted, toned, colour of toner can be a little bit different from the colour on photo ? be more light or more dark.